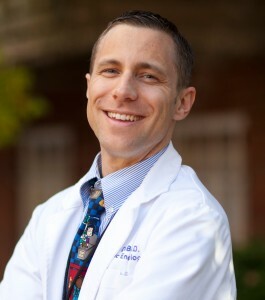 Dr. Mark DeBoer performed his pediatric residency at the University of Virginia and his fellowship in pediatric endocrinology at Oregon Health and Science University. Dr. DeBoer is interested in applications of technologies related to the artificial pancreas in children and adolescents, including how these technologies will affect blood sugar control and how they will affect overall family dynamics. In addition to his interests in Type 1 diabetes, Dr. DeBoer is also interested in childhood and adult disease risks related to insulin resistance as part of the metabolic syndrome and has helped formulate a scoring system to assess the severity of metabolic syndrome within an individual over time.